If you want to glimpse the future of home internet and data collection, you need to pay close attention to what Amazon has been up to this month. The e-commerce behemoth has made a couple of small but substantial moves in recent weeks, hinting at its ambitions not only about the smart assistant market, but also the pipes of the internet. First, Amazon announced it would be acquiring mesh networking startup eero. Then, this week, the company revealed a new partnership with semiconductor firm Qualcomm, on a development kit for bringing Alexa to mesh networks. Put together, this suggests a company with more than a passing interest in the development of new routers, and how Alexa could be brought to bear on those humble gateways of the internet. Should we be concerned about the world's largest online retailer, and the internet's largest cloud provider, perhaps also controlling the Wi-Fi in our homes? What is a mesh network? The child of a router most people will probably be familiar with is a single device, nestled in a cupboard or under the stairs. A mesh network, on the other hand, is made up of a number of interconnected routers called nodes. Instead of relying on one node for a signal, connectivity is distributed across a mesh or nodes. Each one provides Wi-Fi coverage, but they talk to each other as a single network. Importantly, there is no hierarchy between these mini-routers – no central node – so if one stops working, the rest of the system should be able to re-route and carry on as normal. Mesh networks have been used by the military since the 1980s, and in the decades since by city infrastructure projects. But only in the past couple of years has the approach crept into homes – part of the development of Wi-Fi technology, but also the growing demands of smart home appliances. According to the data site Statista, revenue in the smart home market is expected to be $ 35.9 billion (£ 28 billion) in 2019, rising to $ 53.45 billion in 2022. The logic goes to the more smart home appliances, the greater the reliance on stable Wi-Fi coverage. "Amazon might be lucky that it just sniffed in before someone else saw the market," says technology expert Darien Graham-Smith. “It feels like a market on the brink of maturity, rather than one just beginning.” Indeed, Netgear, Linksys and BT already offer mesh routers, although the main comparison with Amazon here is Google, which launched its Google Wi-Fi router in 2016. These white pucks look like Google Home, but are separate from the company's AI hubs. Google Wi-Fi nodes do not have microphones, unless the search engine is keeping them secret, as it was found to have done this week with its Nest home alarm system. From an ease of access point of view, combining a router with Alexa functionality's sense. Why have two small pucks when you can combine them into one? 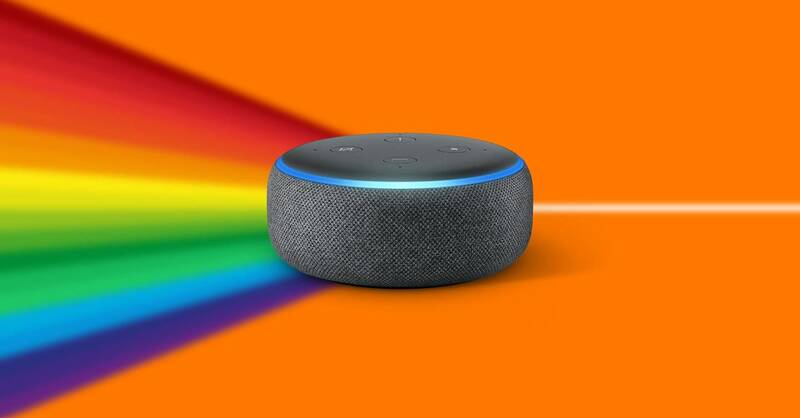 The Echo Dot, for example, is already designed to be affordable enough for several to be plotted throughout your home. Turn those into mini-routers and you'll knock two birds with one dot. The company has yet to announce anything in the way of a mesh Echo, but it does now own mesh startup honor – and the partnership with Qualcomm that manufacturers using the chipmaker's standard, including Netgear and Asus, can bring Alexa to their routers. And this is where we come to the privacy concerns. 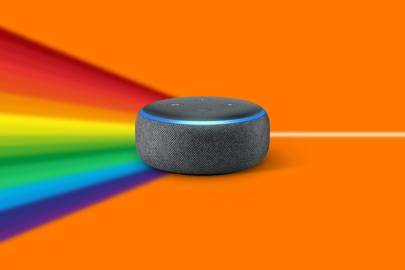 A number of smart home device manufacturers have spoken out recently about the demands Amazon and Google place on them to provide status updates or device activity. Ian Crowe, a senior director with Logitech International, told Bloomberg: “There are very relevant concerns about how much the system knows.” If Amazon's systems were integrated into a home's internet router, it would make it even easier for the company to know what happening under a person's roof? Legally, any data collected by these companies would be subject to the restrictions and obligations of the GDPR. But for Amazon, which still makes most of its money from online retail, the more information it can gather about potential customers the better. If they were able to know what devices were owned, what times they were used, what they were used for, it could build a detailed picture of a household, even without specific information about internet browsing. Get WIRED Weekender, your at-a-glance roundup of the most important, interesting and unusual stories from the past week. In your inbox every Saturday at 10am.